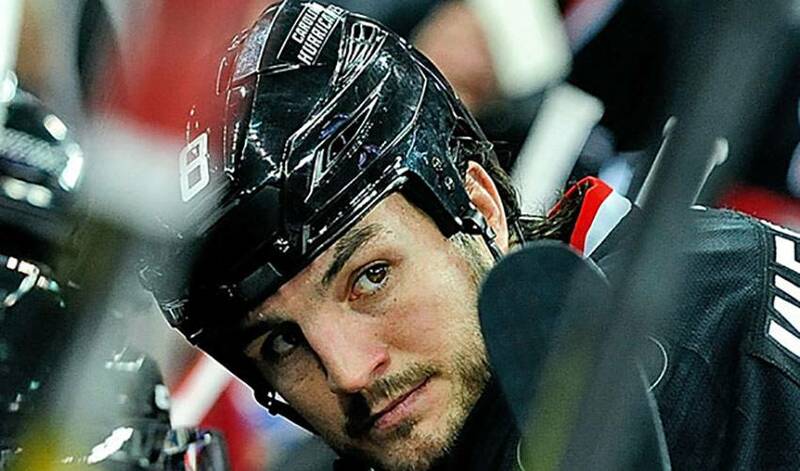 Whether it’s giving or taking a punch, creating space for his teammates or keeping a promise he made years before he stepped on NHL ice, Kevin Westgarth, regardless of the circumstances, can be counted on to deliver. It was during the mid-2000’s when Westgarth, then a forward for the Princeton Tigers, found himself on a backyard deck in his hometown of Amherstburg, Ontario, hanging out with friends and ruminating about his hockey career. Competing in the U.S. collegiate ranks, there was nothing, at least at that time, suggesting a life in the NHL was in his future. Though he was expecting some kind of response, no one raised an eyebrow or piped up with a good-natured retort. Undrafted, signed as a free agent by the Kings in 2007, Westgarth spent three-plus seasons with the Manchester Monarchs of the American Hockey League, getting his first taste of NHL action in 2008-09, appearing in nine regular season games. Westgarth scored his first NHL goal in a 3-2 overtime loss to the Dallas Stars on November 23, 2011. Three months later, he suffered a hand injury, forcing him to the sidelines for the rest of the season. The silver lining came in the form of seeing his name etched on the Stanley Cup, a proud part of Los Angeles’ first NHL championship team in 2011-12. During his designated 24 hours with the trophy, Westgarth gathered the very friends he had told he’d come home a Cup winner, placed the trophy on that same deck and reflected on the journey that brought him to that moment. Westgarth is no longer a King, traded to the Carolina Hurricanes this January for Anthony Stewart, a 2013 fourth-round pick and a 2014 sixth-round pick. At 29, he’s one of the elder statesmen on a Carolina club fighting for a playoff berth. It’s a role he embraces, one he is grateful to have. Westgarth won’t see his name atop the team points-leader list. He won’t play nearly the same amount of minutes per game as the vast majority of his teammates. What he does, however, is play one of the game’s most demanding roles. Like the time he dropped the gloves with Steve Montador when the defenceman was with the Anaheim Ducks in 2008-09. After a brief scuffle, the two made their way to the penalty box for the next five minutes. Westgarth, with 113 NHL games to his name, is hoping he’ll have plenty more to talk about when he returns to his hometown this summer. Whether he returns with Cup again is still unknown, but one thing is certain: when he sits out on the deck with his friends, he’ll get that same feeling he had just one summer ago. The feeling you get when you are a champion and a man of your word.